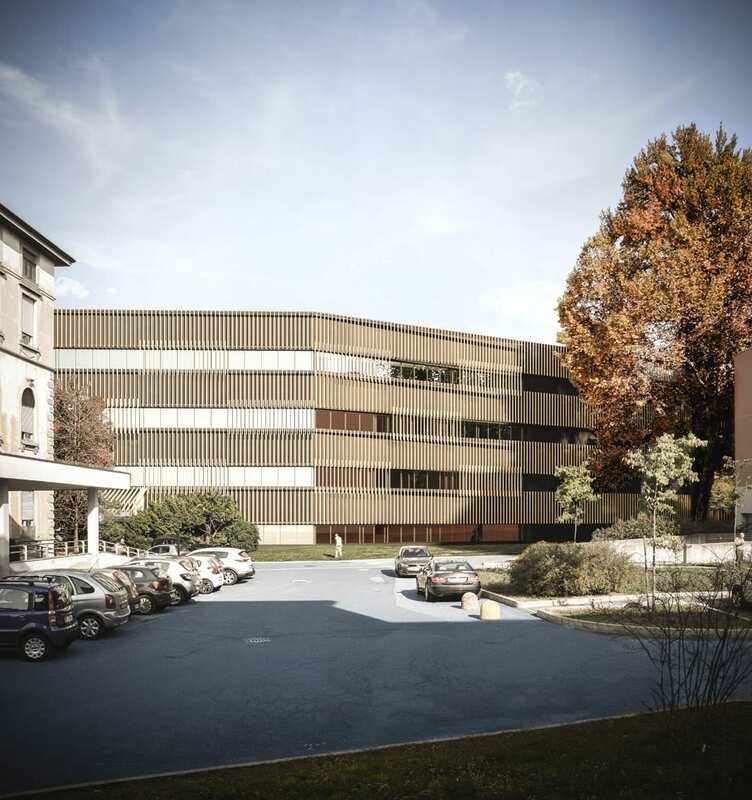 The new building will host the Day Hospital activities for the Ospedale di Circolo and Fondazione Macchi, in Varese. 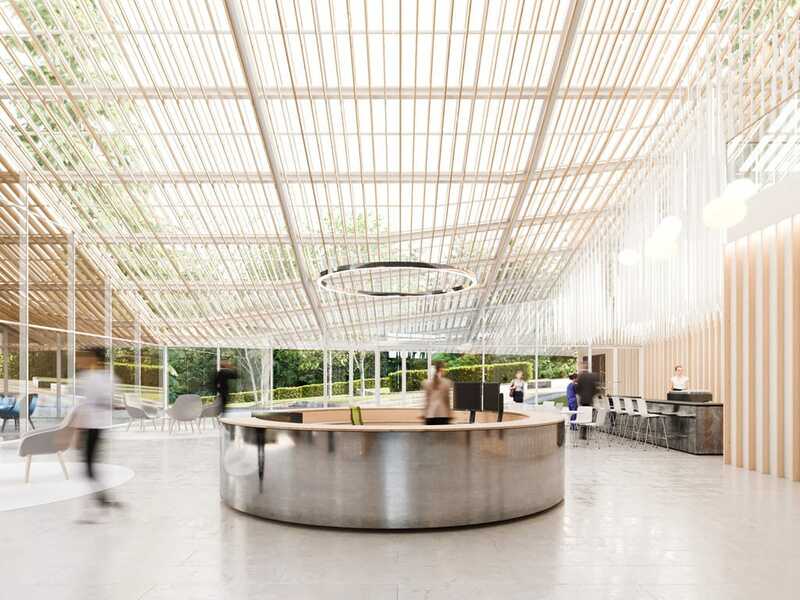 The architecture of the new clinic, while insisting on the area previously occupied by the geriatric pavilion which is now set for demolition, reacts and revolves around the existing monumental trees that strongly characterize the surroundings. 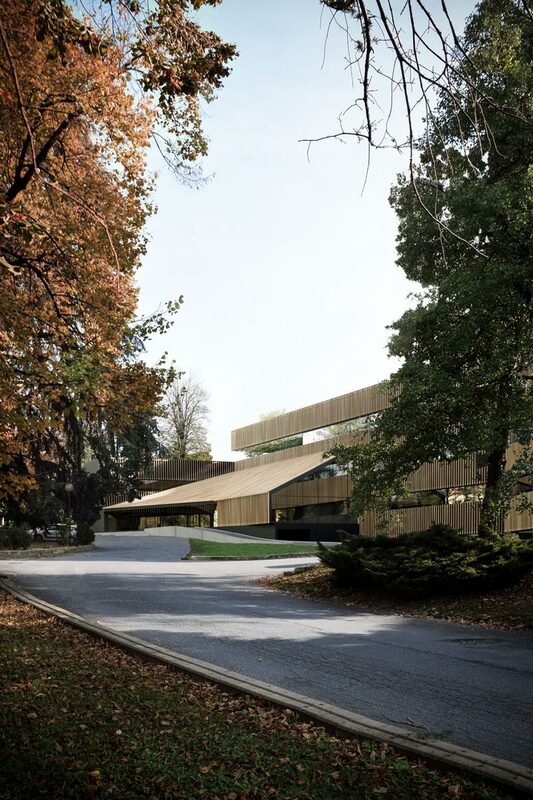 A new wooden louvered facade and a triple height entrance area create a new softer and user friendly concept for a hospital building, usually defined by tight corridors and compressed spaces.